Colorado Technical Publications, LLC. publishes eBooks and printed books for various clients. Learn how to use IRender nXt to create stunning images from your SketchUp models. Turn your SketchUp designs into beautifully rendered, high-resolution images. Add lights, materials, skies, etc. to create Photorealistic renderings directly from SketchUp. Create photo-realistic, still, panorama and animation images files from 3D models using raytracing and radiosity technologies. 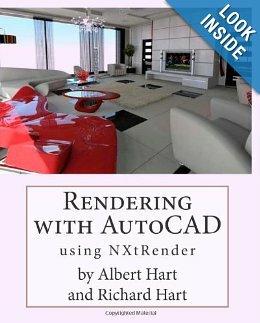 This reference manual has Tutorials, explanations of rendering terms, and specific instructions for Wizards to help you use IRender nXt for SketchUp. Step-by-step examples will make it easy to learn how to render with SketchUp. Examples, Images and information on rendering terms and capabilities which you can use to improve your renderings. Learn how to use nXtRender to create stunning images from your AutoCAD drawings. Turn your AutoCAD designs into beautifully rendered, high-resolution images. Add lights, materials, skies, etc. to create Photorealistic renderings directly from AutoCAD Create photo-realistic, still, panorama and animation images files from 3D models using raytracing and radiosity technologies. 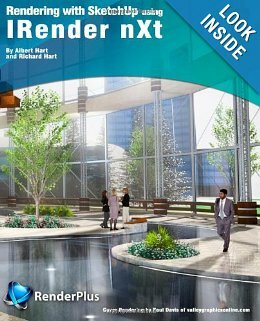 This reference manual has Tutorials, explanations of rendering terms, and specific instructions for Wizards to help you use nXtRender for AutoCAD. Step-by-step examples will make it easy to learn how to render with AutoCAD. Examples, Images and information on rendering terms and capabilities which you can use to improve your renderings.